What really lies beyond the border? We have different answers, views and wishes, but maybe vision is all that matters and hence flickers the dream. I may be ambivalent regarding zillion things located on the other side, yet I’m certain about one thing: Elend are there. This term, ‘Elend’, as its musical and lyrical embodiment, can be transferred easily to other rock-solid terms, ‘art’ and ‘truth’. Both mean infinity, honesty and humanity. They are the pathfinders to reach our most inner selves. The art of Elend is the modern epiphany of Odysseus, whom I never met until I dived into this world above. I’ve never been to ancient Greece, never sank into the depth of the purgatory, and never danced under the closed eyes of paradise. Not really, not until Elend brought a new dimension of art. Listening to Elend means, wearing a new life. “Winds Devouring Men” purifies this experience. Sure, I could throw some descriptive words to the virtual sphere: classical music, Mythology, Ambient, Poetry, Liturgics, world music, Opera, noise, baroque etc. all of them quite meaningless, for if you’ll not live this through, you’ll never get there. Every step can bring one forth to a never-ending journey, one button-click away, but it demands courage – The mother of all courage, just like passing through the mirror in “The Never-ending Story”. On second thought, since our life is one long journey, hence we’re all Odysseus. It might as well be safe to conduct this marching into the vast lands of the future with a friend, a partner, a blind guide: Renaud Tschirner’s soothing voice, Iskander Hasnawi’s piercing screams and almighty words, Nataly Barbary’s heavenly Soprano and the silent choir, a constant reminder of a Greek tragedy. It’s like touching both sides of the cosmos’ rope. Elend uses old, ancient methods to light our modern, urban life. Living in the heart of the Polis still allows us to try and touch the divine. Elend is the ladder. Yet in the journey offered there are unmeasured troubles and divine sufferings such as unknown yearning, unbearable lust, tormenting sirens and staggering moons. However, it also features, but not a long scale, little joys: being a newborn sailor, glance the first touch on the way to enfold, the waiting and the ability to dream even as wreckage in the rain. It’s confusing. Are we supposed to shed a lonesome tear when “all joy is gone”? There’s a comfort in the knowing that you cannot escape a frail embrace? Who’s to know? The end itself. Elend will not grant us that gift, that possible pleasure. There is a point, where the hands drift away from each other. True, it lingers after the departure of the staggering moon and it’ll always be there. The art, so does the truth, change life. It grips firmly one’s heart and mind, and won’t let go. I often think of this album when I’m launching out of bed in the bright morning. I think of their journey, what it has contributed to mine. Which advices does Hasnawi have for me? What will the horn shout and the violins sing? Each day, a different answer conceived by the name of the new dawn religion. 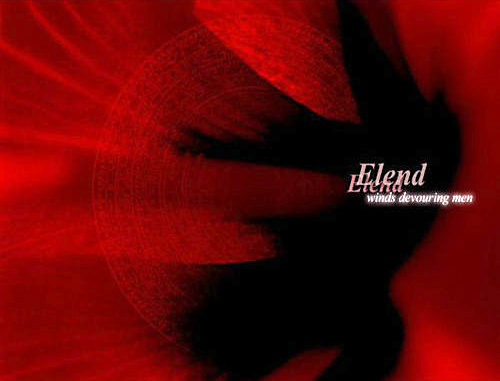 Elend does not create Avantgarde metal as this is not a regular review, rather an appreciation of both album and band. However, Elend break and build, craft powerful emotions that usually wander among the heaviest strings, and then some more. I cannot write a simple musical review, as this is far more than music, it is everything. Any form the universe contains lies within the art of Elend. As the Greek in their time, the sincere people behind the name creates boxes with secrets – poisonous eyes, an oceans of joy, letters between gods and wayward travelers, and much more. Who ever hoped to hear Orpheus play again and gaze at the same time deep into the stomach of the beauty, have this crimson gift. In long streets of sadness, you’ll bear with it and it’ll pull you through. There’s not enough lifetime to gain and know a friend, but Elend will push this border too. After all, it is prove that we all are not worn out with dreams.